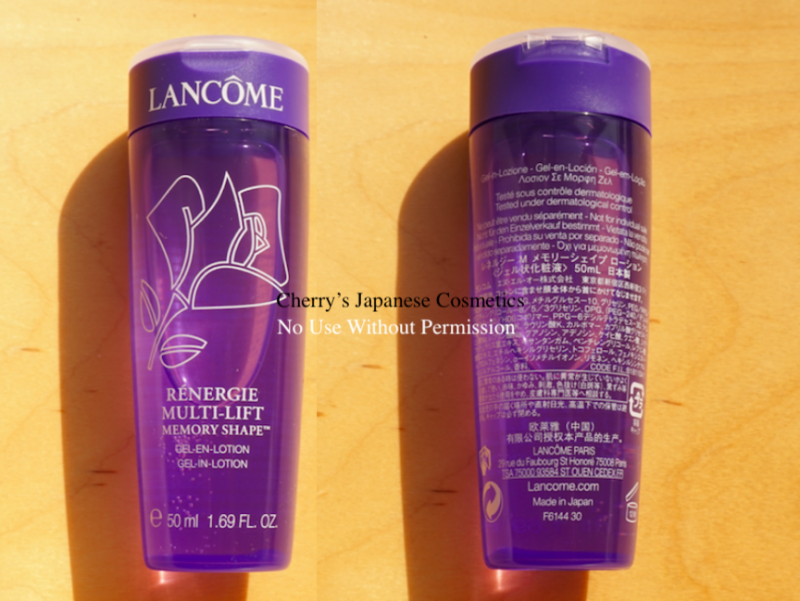 I got a trial bottle of Lancome Renergie M Memory Shape Lotion, aka “Lancome Renergie Multi-Lift Memory Shape”. I also do not know in case of your country, at least this lotion sold in Japan is Made in Japan. When I was young, I had repeated Lancome foundation and sunscreens, but I do not remember so much about their skin care line. Seems this Renergie line is for ageing care. 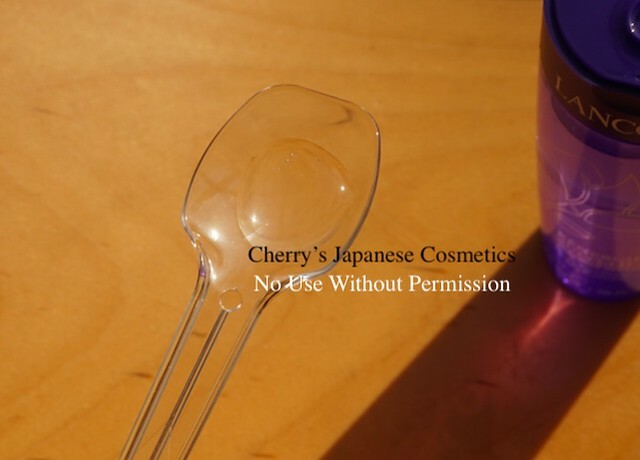 The lotion itself is transparent, and guess you can read on the bottle “GEL-IN-LOTION”, it is a kind of gel/ jelly. The texture is a little bit sticky, but not stringy. On my face, it was really smooth. On the quantity of the above, it was enough I felt with applying. Soon, I am feeling something drier, I should better I applied it on my face more. Guess I need something oils for my dry skin and this lotion does not supply, I have other creams/ oils I can use after of this lotion. I did not feel tight, but a kind of firming effect on my face. Recently I was asked by a lady seems who has oily skin or be an oil prone. She was looking for something lifting/ firming products without oils. Her second demand is brightening. She asked me about Albion Infiness line, but guess they are not for her. My recommend for her is Orbis U new formula. I admit Orbis U is a kind of “boring” products, not bring my mind up or fancy. The scent of Lancome Renergie is not pretty strong, pay attention, due to the season of high temperature difference, my nose is not working pretty good :P. If you feel this purple bottle is fancy, this can be nice. When you are looking for simple design, without perfume, guess Orbis U is for you. Just checked what Japanese reviewers are saying, Lancome does not push this lotion so strongly, people tried this lotion, and unexpectedly nice, it is the same with my feeling. Indeed some got something pimples, you know there are no perfect products for any of person. Totally to say, if you are looking for something sticky lotion (with perfume), and non-oily lifting/ firming products, it can be for you. If you are feeling you need something oils, you can use your favourite cream/oil after of this lotion.